We recently had the pleasure of working with Philadelphia Eagles running back Demarco Murray and his fiancé Heidi Mueller on their summer wedding in Dallas. We can not wait to share more photos from this beautiful event that will be featured in the latest edition of Inside Weddings! 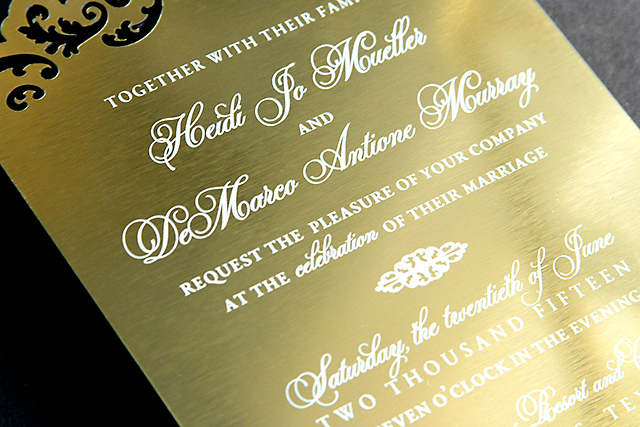 The bride and groom wanted their invitation to be both elegant and dramatic so we used metal plated acrylic instead of traditional paper. 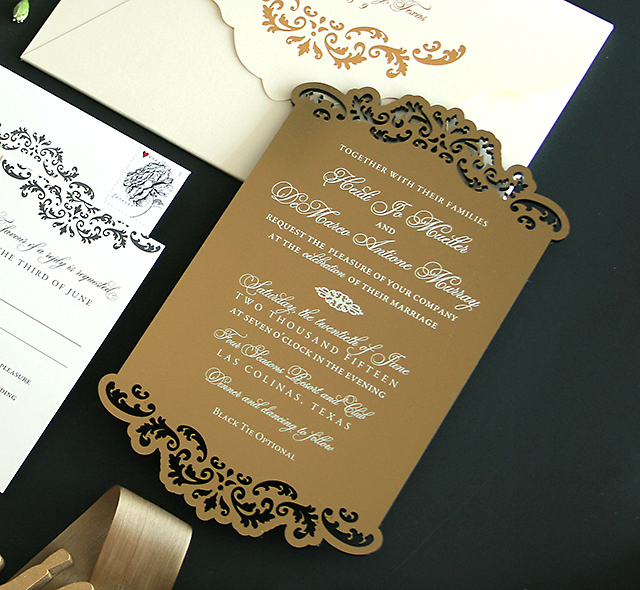 The invitation was silk screened in cream ink on brushed gold acrylic and then laser cut with damask details at the top and bottom. 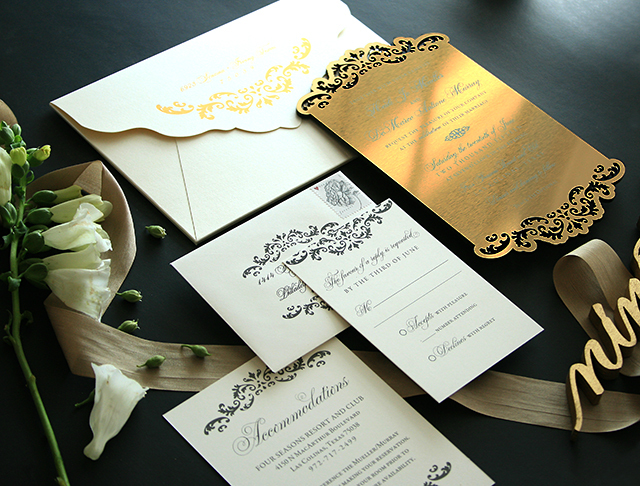 The design element at the center of the invitation was inspired by the bride’s beautiful embellished headband. 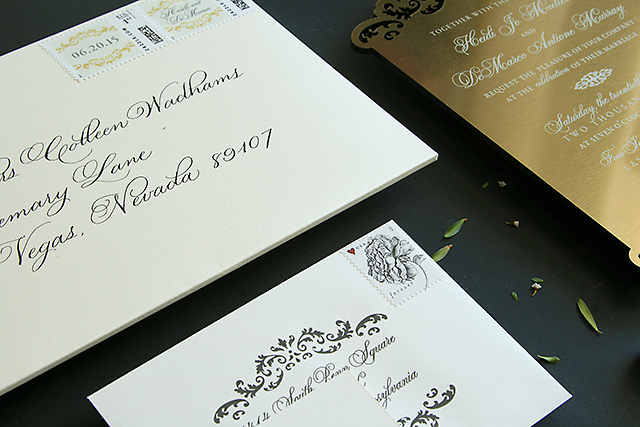 We created a custom card stock envelope that was foil stamped in gold with matching design details, thick enough to accommodate the 1/8” acrylic invitation and inserts. 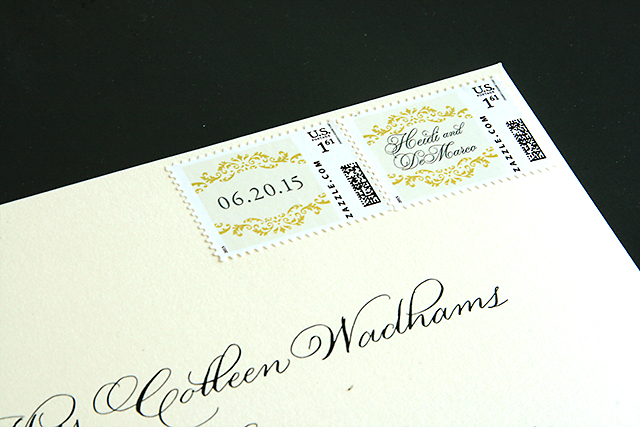 The scalloped flap design emphasized the damask details and added interest before the guest even opened the envelope. 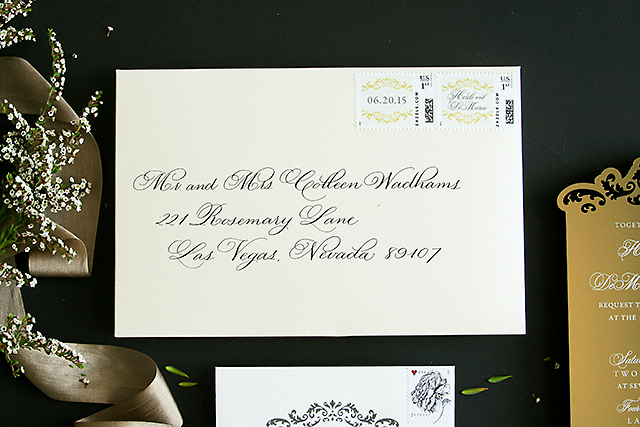 The two custom stamps extended the design details to the front of the envelope and were a great addition to the beautiful calligraphy by Nicole Black, The Left Handed Calligrapher. 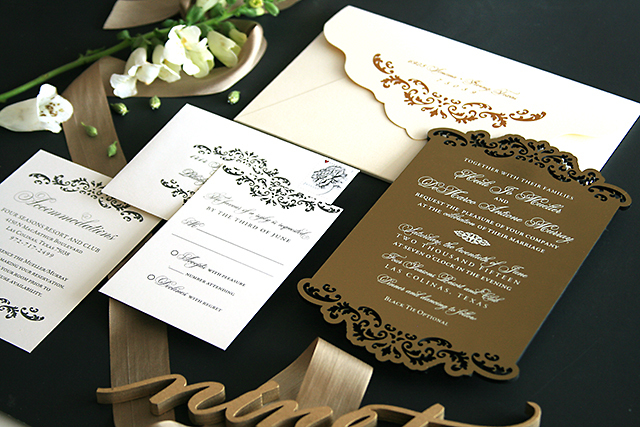 The result was a very regal and elegant invitation suite with some serious wow-factor! Guests were given a hint to the gorgeous event that was to come. 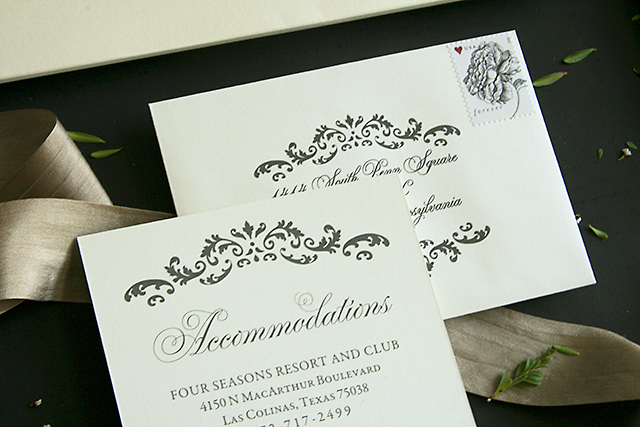 The flourish details were then carried through their ceremony, reception décor and large dance floor design. Website Designed by Thrive Creative Group, LLC.